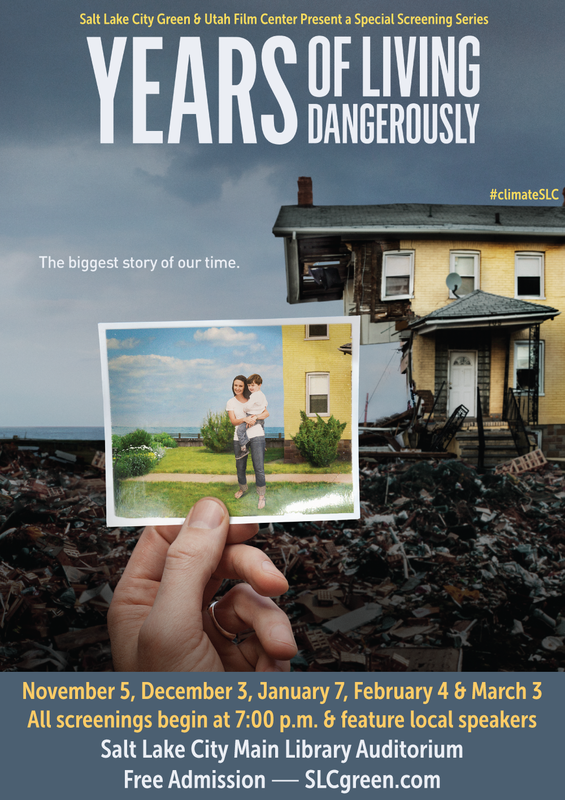 Salt Lake City Green, in partnership with the Utah Film Center and the Salt Lake City Public Library, are excited to announce a special screening series of the groundbreaking Showtime series, Years of Living Dangerously. The free film screenings will be held on the first Thursday of each month beginning at 7:00 p.m. at the Salt Lake City Main Library Auditorium. A local speaker panel will be featured following each screening. The first screening is scheduled for November 5, 2015 and will feature Susan Soleil of Utah Interfaith Power and Light. We’re excited to offer this incredible series to Salt Lake City residents free of charge! Learn more & RSVP to the Facebook event.